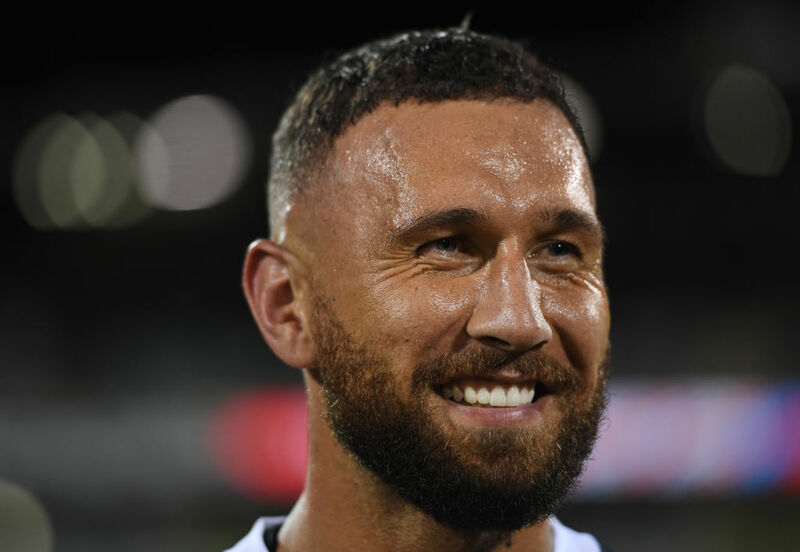 Melbourne Rebels playmaker Quade Cooper has a target on his back as the Highlanders are out to shut him down in their Super Rugby clash at AAMI Park on Friday night. Highlanders coach Aaron Mauger has pinpointed Cooper as a strength - or weakness - in the Rebels and plans to give him plenty of attention. Mauger says the revival of the halves partnership of Cooper and Genia has added spark to the Rebels' attack to make them a more dangerous team. "Quade's one of those guys, if you give him too much time and space, he can really hurt you," Mauger said. "There's been a bit of focus on making sure we don't give him any time or room to move." The Highlanders escaped with a narrow win over the Reds last round to remain unbeaten while the Rebels are coming off a bye after a first-round victory in Canberra over the Brumbies. They travel to Melbourne without star trio Luke Whitelock, Aaron Smith and Ben Smith, who are on All Blacks rest. The Rebels, meanwhile, have two Wallabies back in their squad with utility back Reece Hodge and lock Adam Coleman returning from injury. Hodge hasn't played since fracturing his ankle at Wallabies training last October and said he was excited to be back in the game. "It's obviously pretty happy times for me - four months of having to watch from the sidelines ... you don't really know what you've got until it's gone, so to be back in the mix is awesome," Hodge said. The 24-year-old said the bye week had worked in his favour as he took advantage of the extra training sessions to fine-tune his preparations. "Getting an extra four or five training sessions under my belt and getting that confidence back, it has put me in a good place." The last time the teams met the Highlanders roared back to take a crucial win that ended Melbourne's hopes of a maiden finals appearance but Hodge said they had moved past that disappointment. "Whilst it was down to one game in the end it was really down to the last three (games) as we had plenty of chances to secure the extra point to make the finals," Hodge said. "I don't think anyone looks back with distaste or anything toward the Highlanders."